Fall weather may be slowly creeping into Houston, but the fall opening season is in full swing. So many new restaurants opened in September that limiting this list to 10 means leaving out a couple of promising newcomers. Still, this Where To Eat Right Now should keep foodies busy for at least a few weeks — at least until November comes and the process starts all over. After getting his feet wet with Bosta, chef Justin Basye is back with Museum Park Cafe. 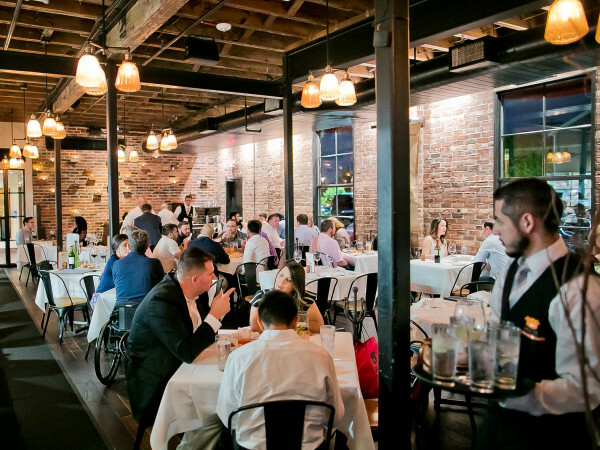 Modeled after managing director Christopher Balat's vision for a Houston equivalent of celebrated New York restaurant Union Square Cafe, Museum Park serves well-executed classic dishes with a few playful twists. Can't miss dishes include the cheddar and scallion biscuits with salumi caramel and the cheddar-topped "blue label" burger that arrived properly medium rare. Spaghetti pomodoro had bright tomato flavor and a properly al dente housemade pasta. I was too full for dessert, but I'll do a better job of saving room to see what Chris Leung has waiting on my next visit. Months of careful preparation have paid off at new Montrose hotspot BCN. In an era when casual, neighborhood restaurants seem to be the norm, chef Luis Roger's Spanish restaurant is distinctly fine dining. Suit-wearing servers populate the understated dining room, and the guests are similarly attired. In an era when casual, neighborhood restaurants seem to be the norm, chef Luis Roger's Spanish restaurant is distinctly fine dining. Dining at BCN feels very upscale, but the atmosphere isn't stuffy. People are dressing up for carefully-prepared, beautifully-presented cuisine. Start with imported Iberico ham that's served with tomato bread, pickled anchovies or beef tartare with housemade potato chips. Seared duck breast arrived with a dark red center and a slightly sweet sauce that balanced the meat's natural fattiness. Chocolate cake with two textures, a light mousse and a dense cake, provided a fitting end to the meal. Long-serving Schiller Del Grande Group chef (RDG, Cafe Express, Taco Milagro) Greg Martin has set out on his own at the new restaurant on the Menil campus. It's an elegant, austere space with the only adornment coming from chalkboards listing draft beer and cask wine selections and a dramatic-looking chandelier. The menu features dishes inspired by Martin's travels across America and Europe — like a pizza with Spanish brava sauce and a flatbread from The Modern in New York City. 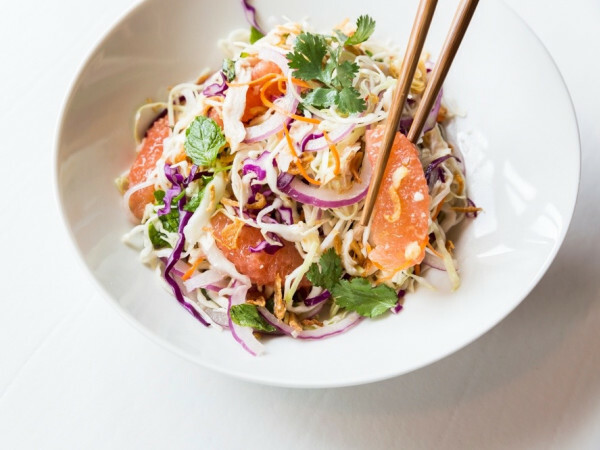 Entrees stick to crowd pleasing favorites like roasted salmon and grilled tenderloin, but Martin, mindful that he might be giving diners their first taste of Houston, has added thoughtful touches to each dish. The restaurant's liquor license allows it to sell beer and wine to go, which means that taking a couple of sandwiches and a growler of craft beer to the Menil lawn has never been easier. Fried chicken looks poised to become Houston's hot new food trend, and it's getting a start at The Bird House. H-Town StrEATs owners Jason Hill and Matt Opaleski saw an opportunity to try out their concept at The Boil House, a to-go crawfish shack that's closed until the mudbugs return in January. From now until then, they're serving classic Southern-style fried chicken, biscuits and real vegetables sides. The chicken is relatively mildly seasoned (think Barbecue Inn), but is both crispy and juicy. If you have any left, it holds up well the next day too. I liked almost all of the sides I sampled, especially the okra and tomatoes and pickled bean salad. Strangely, the red beans and rice didn't land; the rice was too buttery. The space is mostly designed to accommodate take-out and drive thru dining, but picnic tables are available for bringing back memories of splitting a bucket with family or friends. I've heard some squawking (get it?) about prices, but $13 for a three piece with two sides and a biscuit is the price to pay for locally raised, quality poultry. Get eight pieces for $25 to maximize the value. This expansive cafe in EaDo gives the rapidly growing area a neighborhood restaurant all its own. With all-day hours (open until midnight every day), Tout Suite can be whatever you need it to be: A coffee shop in the morning, a casual cafe with sandwiches, soups and salads at lunch and a late night destination for a post-meal dessert or caffeine jolt before hitting the bars. The weekend brunch crowd has already discovered it. If you go, waits are likely. They're worth it. Community tables with plugs make it a destination for either writers looking for a break from the office or students who need to study. High quality ingredients like locally roasted Greenway Coffee and 44 Farms beef mean never having to wonder about what you're eating. During a lunch visit, watermelon basil salad was light and refreshing, and the selection of macarons proved hard to resist. The new restaurant in the former Nosh Bistro space aims to build on the audience chef Bruce Molzan earned at Corner Table for his Paleo-diet dishes blended with a little Indian seasoning from co-owner Neera Patidar. Gone are the purple accents that dominated Nosh's decor in favor of a more subdued palate. A group of four of us experienced an up and down meal from across the menu. We learned that the secret is to stick to starters and pizza-sized flatbreads. One flatbread arrived nicely crispy while another was a little soggy in the middle. Fried seafood in both appetizer and entree form was crispy and well-cooked, but short rib biryani was bland and under-seasoned. Also, no matter how good the ingredients or inventive the preparation, paying $10 for a taco just feels wrong. Thankfully, the traditional Ruggles dessert tray remains as wildly over the top as ever. Just stick to classics like white chocolate bread pudding or new favorites like avocado mousse to avoid disappointment. 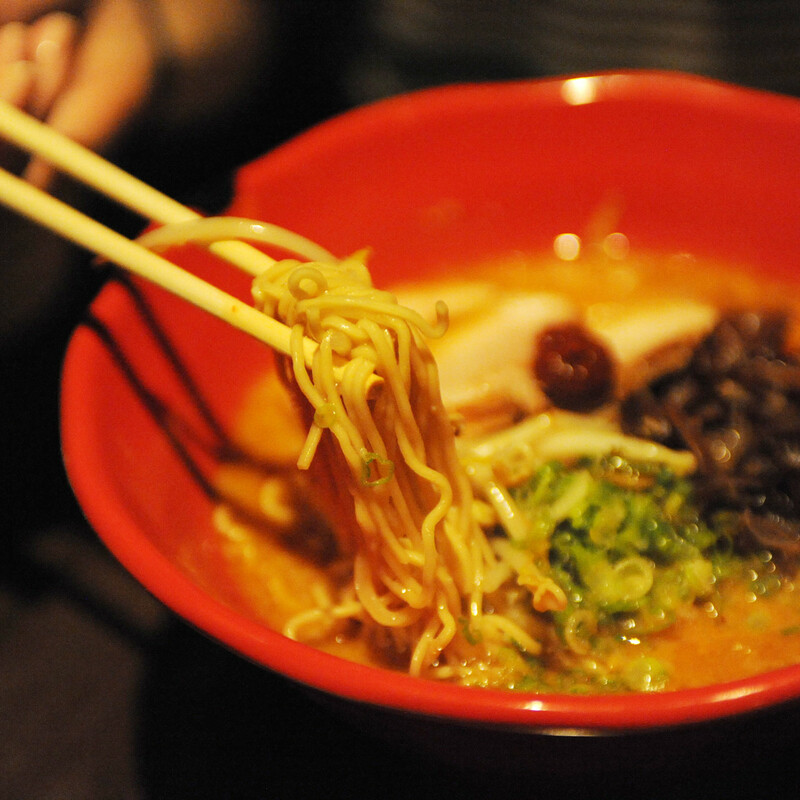 It's been almost a year since California-based Jinya Ramen announced plans to open two locations in Houston. The first one finally opened last week in Webster. 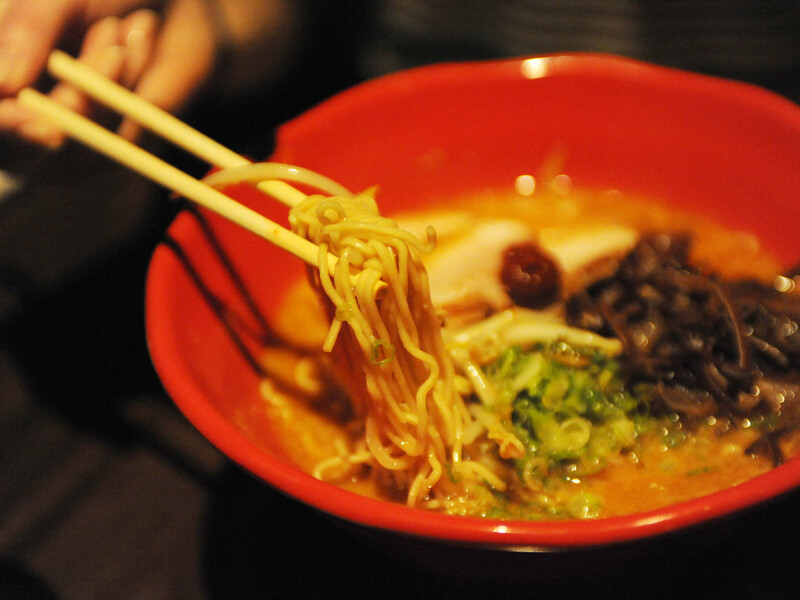 Although judging a restaurant based on a friends and family night is tricky, Jinya doesn't seem to be the great, Tatsu-Ya slaying savor Houston ramen fans have been hoping for. At least not yet. However, the ability to order either pork broth, chicken broth or a mixture does set it apart from other similar shops, and it did arrive both properly hot and with nicely al dente noodles that held their texture throughout the bowl. I found the signature Jinya black variety a little too heavy to finish the bowl, but the chicken/pork broth mix in the premium tonkotsu white had an addictive saltiness. Order gyoza or pork buns (a solid version of the David Chang classic) rather than the fried Brussels sprouts. It may not be enough to lure Tiger Den fans to make the drive south, but Clear Lake residents should be happy to have such a promising option in their midst. 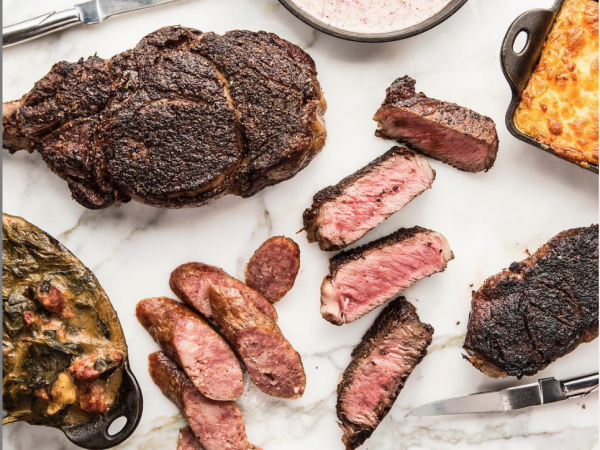 One of the latest entrants in the trend of international restaurants opening their first American location in Houston is this British-based Italian restaurant. Thanks to a wood-fired oven with a rotating deck, pizzas come out nicely crispy. We enjoyed the signature mascalzone — it's half pizza and half calzone. It gives you a little calzone and a little pizza in a bite delivered a variety of textures and flavors from the various toppings. Less successful was the penne all'arrabbiata that was so mild it reminded all of us of Chef Boyardee. No such problems with the rich tiramisu, which we devoured. Stick to the pizzas for now, at least until they get the spices dialed up for the Texan palate. Named for a popular Mexican song, this restaurant brings authentic, homestyle Mexican cuisine to The Woodlands. Good news for northsiders who've had to drive to places like Hugo's or Pico's for carnitas and cochinita pibil. As the first American outpost of a company that owns 85 bars and restaurants across Mexico, La Bikina's look and feel transports diners far away. As the first American outpost of a company that owns 85 bars and restaurants across Mexico, La Bikina's look and feel transports diners far away from the shopping center that houses it. TVs throughout the dining room display videos of both American and Mexican pop hits. The food, particularly the fried shrimp, panuchos (black bean stuffed corn tortillas) and carnitas, all hold their own compared to better known Houston restaurants. Save some room for the massive churros that make a great dessert with the balance between their crispy exterior and soft interior. The folks at Alonti Catering have spent three years honing their burger concept from a location in the downtown tunnels. Now they've branched out with a full-service restaurant in northwest Houston designed by high-profile architect Michael Hsu (Uchi, Hunky Dory, etc). The big addition to the new location is craft beer; the 12 taps feature local favorites like Saint Arnold, Karbach and Lone Pint, and all pints are $5. Growlers are available for $16, which means the ability to snag some rare beers to go for a very reasonable price. Ordering is Chipotle-style. Go through the line and select various toppings while a beef, chicken or turkey patty cooks on the grill. The patties are thin, to promote speedy cooking, but served two at a time, to promote hearty eating. At $6.49 for a burger or $12 for a burger, fries and pint of beer, the price is a little cheaper than other gourmet-style burger joints.